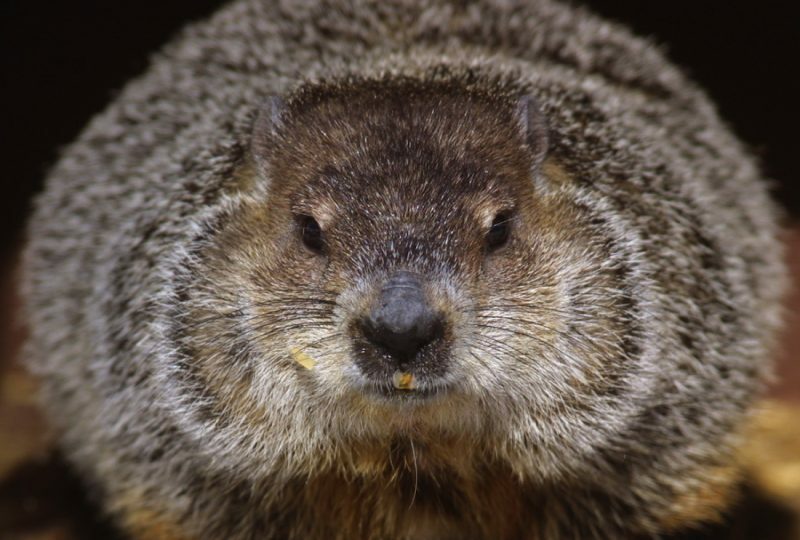 Groundhog Day is tied to the movement of Earth around the sun. Falling approximately midway between a solstice and an equinox, it’s the year’s 1st cross-quarter day. Ah, Groundhog Day. Punxsutawney Phil – called the world’s most beloved seasonal prognosticator by his handlers in Punxsutawney, Pennsylvania – might or might not see his shadow on this Groundhog Day 2019. This U.S. and Canadian tradition comes every year on February 2. It has its roots in astronomy, in the sense that it’s a seasonal festival, tied to the movement of Earth around the sun. It’s a great excuse to go outside and enjoy some revelry during the winter months. Of course, it can’t be cloudy, or sunny, everywhere at once. And many towns in the U.S. and Canada have their own local groundhogs and local traditions for Groundhog Day. … the great weather prognosticator. See Phil on the left? Image via Wikimedia Commons. … original home of the great weather prognosticator, His Majesty, the Punxsutawney Groundhog. 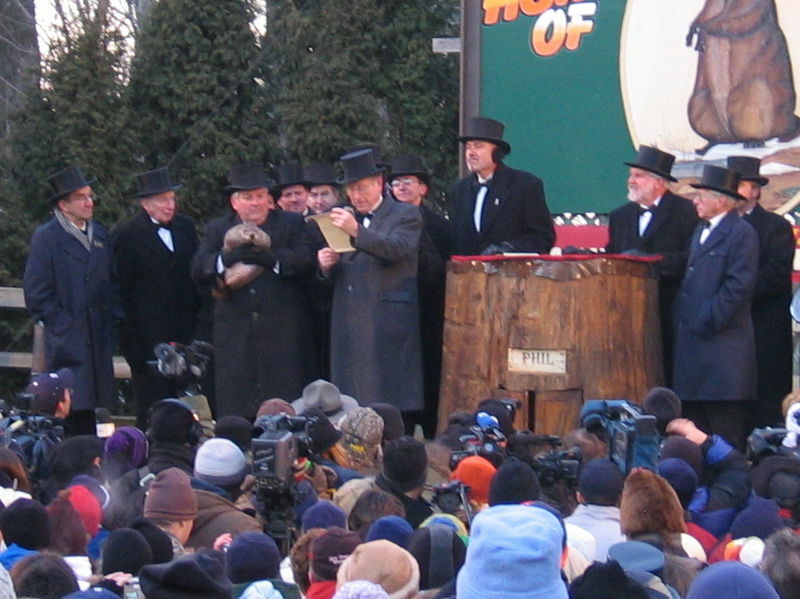 Since 1887, members of the Punxsutawney Groundhog Club have held public celebrations of Groundhog Day. Punxsutawney is where Bill Murray was in the movie Groundhog Day. From the looks of things … a good time is had by all. How accurate is Phil? NOAA’s National Climatic Data Center says Phil’s forecasts have shown no predictive skill in recent years. Groundhog Day has its roots in astronomy. 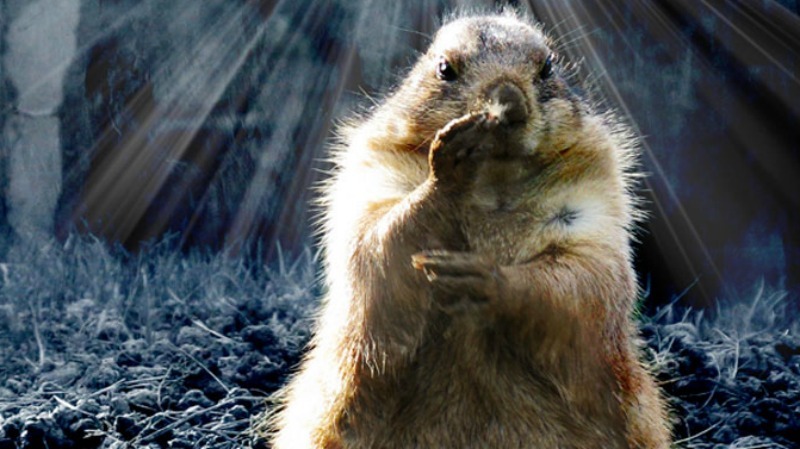 What you might not know is that Groundhog Day is really an astronomical holiday. 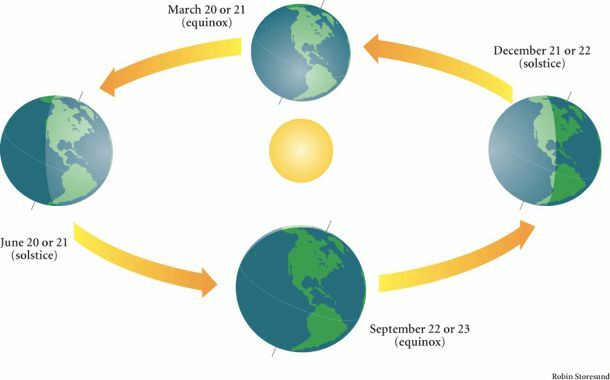 It’s an event that takes place in Earth’s orbit around the sun, as we move between the solstices and equinoxes. In other words, Groundhog Day falls more or less midway between the December solstice and the March equinox. Each cross-quarter day is actually a collection of dates, and various traditions celebrate various holidays at this time. February 2 is the year’s first cross-quarter day. Of course, the division of the year into segments is common to many cultures. Our ancestors were more aware of the sun’s movements across the sky than we are, since their plantings and harvests depended on it. Neo-pagan wheel of the year. Image via Wikimedia Commons. Groundhog Day in various cultures. 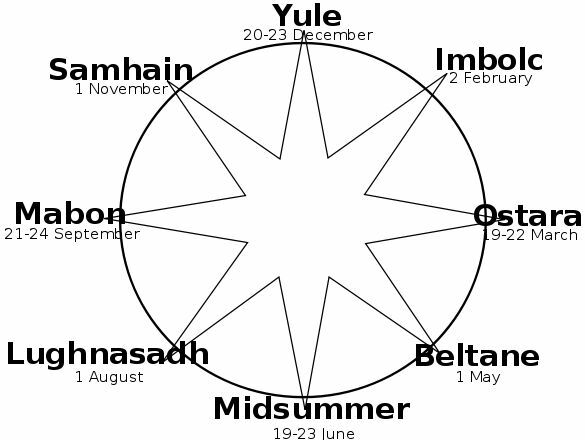 In the Celtic calendar, the year is also divided into quarter days (equinoxes and solstices) and cross-quarter days on a great neo-pagan wheel of the year. Thus, just as February 2 is marked by the celebration of Candlemas by some Christians, such as the Roman Catholics, in contemporary paganism, this day is called Imbolc and is considered a traditional time for initiations. If Candlemas Day be fair and bright, winter will have another flight. But if it be dark with clouds and rain, winter is gone and will not come again. Half your wood and half your hay, you should have on Candlemas Day. A shepherd would rather see a wolf enter his stable on Candlemas Day than see the sun shine. There, a badger was said to watch for his shadow. Cloudy, one of the groundhogs at Brookfield Zoo in Brookfield, Illinois. contemplates an exit from her wooden home on Groundhog Day. Photo via Tim Boyle/Newsmakers. One final note. It’s supposed to be bad luck to leave your Christmas decorations up after Groundhog Day. The National Geographic Society once studied the groundhog and found him right only one out of every three times. But what the heck? It’s all in good fun. So, you may celebrate with a real groundhog and a real shadow – or just pause a moment on this day to reflect on the passing of the seasons. Bottom line: February 2 is Groundhog Day. It’s a celebration with roots in astronomy, in the sense that it’s a seasonal festival, approximately halfway between a solstice and an equinox. 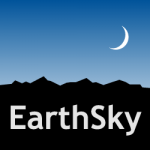 Astronomers call it a cross-quarter day.